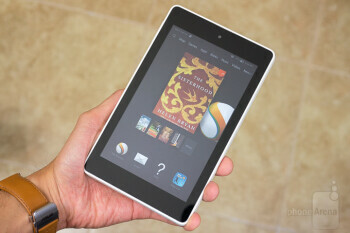 In tradition, the Fire OS 4 “Sangria” experience has deep ties to all of Amazon’s services. Running Amazon’s latest tablet software, Fire OS 4 “Sangria,” which is based on Android 4.4 KitKat, it certainly will appease folks who are diehard Amazon fans. That’s because the experience closely integrates with Amazon’s handful of services, like Instant Video and Prime Music, to deliver that all-encompassing Amazon experience. And of course, it’s the perfect shopping tool as well – whether they’re physical or digital goods, it’s undoubtedly equipped for the task. Even though it receives some new features, like having support for multiple users, family sharing to share your Amazon account with someone else, and Amazon’s ASAP (Advanced Streaming and Prediction) technology to offer relevant movies and television shows based on your history, it doesn’t get treated to the all-in-one shopping tool with Firefly that’s available with the Amazon Fire HDX 8.9. Although it’s agreeable to our liking when it comes to multimedia consumption, the platform just isn’t as effective for productivity tasks. Yes, there’s a basic email app and documents editing suite out of the box, but it’s not quite as comprehensive than what we find on other rival platforms. All told, it’s sufficient for all the fun stuff, but don’t intend on getting some serious work done with it. Sometimes, it exhibits long delays with certain operations. Armed with a quad-core 1.5GHz MediaTek MT8135 processor with 1GB of RAM, the Fire HD 6 seems to run smoothly with most bare essential tasks, but at times, it strangely takes a long time to complete an operation. For example, if we’re to scroll fast through the photo gallery, there’s a long delay before a photo is displayed properly. 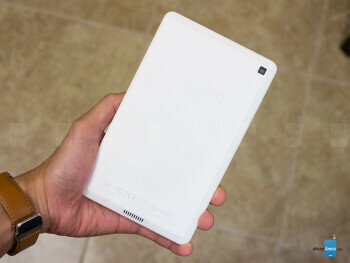 Available in 8GB and 16GB capacities, it’s not really meant to carry a whole lot of content internally. Instead, it’s all about streaming stuff through Amazon’s various services. It’s the typical web browsing experience with this one and its Silk browser, so it doesn’t stray far from what we normally get from other tablets – though, its 6-inch screen is smaller than other tablets. Nevertheless, it manages to get the job done with its good details, fast page loads, and smooth scrolling. Seeing that this is being pegged as an entry-level offering, it’s only available as a Wi-Fi only variant. Accompanying that are the usual connectivity features, such as aGPS and Bluetooth. Paying attention to its camera, a paltry sized 2-megapixel rear snapper, its tally certainly alludes to the fact that it’s there for the mere convenience factor. It’s especially made more apparent as we launch the camera app, which is pretty bare bones with its offering, as it presents us with only two shooting modes – HDR and panorama. There’s nothing pretty about its quality, which is made plainly evident by just looking at the samples – even the ones taken outdoors where lighting is plentiful. Generally speaking, they’re subpar due to its smudgy details, over-exposed composition, heavy noise, and purple fringing with shots taken under low light. Likewise, there’s nothing too nice to find with its 1080p video recording quality. That’s because there’s nothing high-definition about it, as there are way too many distracting elements with its quality. From its lack of detail, to its sensitive exposure adjustment, and muffled audio recording, the results are nothing short of forgettable. 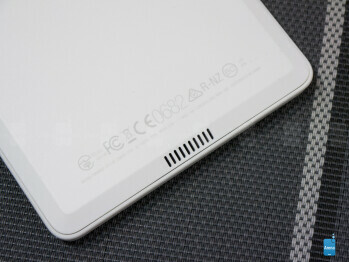 From Amazon Prime Instant to Amazon Prime Music, the tablet is effective enough for various multimedia experiences. Switching over to the music tab in the apps panel, it’s certainly flaunting a cold and dreary looking music player – it just looks boring and lacks and robust qualities. Regardless of that, it closely integrates with Amazon’s Prime Music service for instant music streaming. Achieving a maximum audio output of 64.8 dB, there’s not much bite and power to its quality. Instead, it sounds flat and mute. Moving over to the video watching experience of the tablet, users are sure going to be pleased by the selection that Amazon offers with its Amazon Prime Instant Video Service. However, we wouldn’t go as far to say that the experience is a home run – mainly due to the subdued look of the display. Average, that pretty much sums up its battery life. Interestingly, the Fire HD 6 outlasts its sibling in the Fire HD 7, since it’s able to pull in more battery life in our battery benchmark test – 6 hours and 52 minutes to be exact. Yeah, it’s good, but it’s nothing too extraordinary. 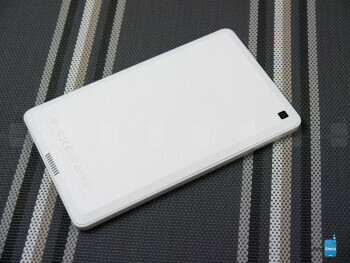 For its size and whatnot, it’s a mark that’s very much like some similarly sized smartphones. Attached with a $99.00 price point, the Amazon Fire HD 6 is undoubtedly budget conscious – one that won’t be too draining on the pockets. Normally speaking about cheap tablets, they typically don’t have too many compelling things about them, so that’s why so many of them are just forgettable. With this, however, it’s able to charm us a little bit, despite its bland design and entry-level offering. 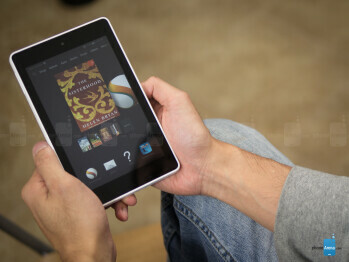 Clearly, it’s not meant for heavy productivity work, but for all of those other fun activities, such as reading books and watching movies, the Amazon Fire HD 6 is at the very least an effective thing for the enjoyment – more so thanks to the idea that it can be carried around in a bag or backpack inconspicuously. ← Will a curved Galaxy S6 Edge accompany Samsung's next flagship?